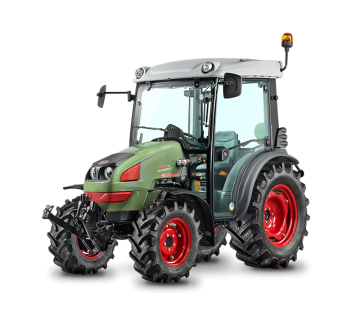 XA T4i tractors are functional and versatile, with high technology that you can see and touch for yourself. New FARMotion (Tier4i) engines combined with the elegant design of the cowl and cab redefine driving pleasure in the XAT4i tractors, created above all to deliver maximum performance for small and medium sized farms, whether used for rapid transport, hay-making, primary tillage or inter-row maintenance. 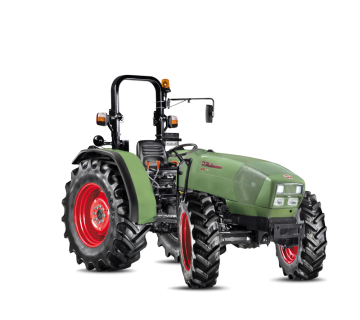 With their compact dimensions, low centre of gravity, short wheelbase and a maximum steering angle of 55°, XA T4i tractors are also perfectly at home in the restricted spaces on the farm, while integral braking on all four wheels ensures total safety when driving on the road. 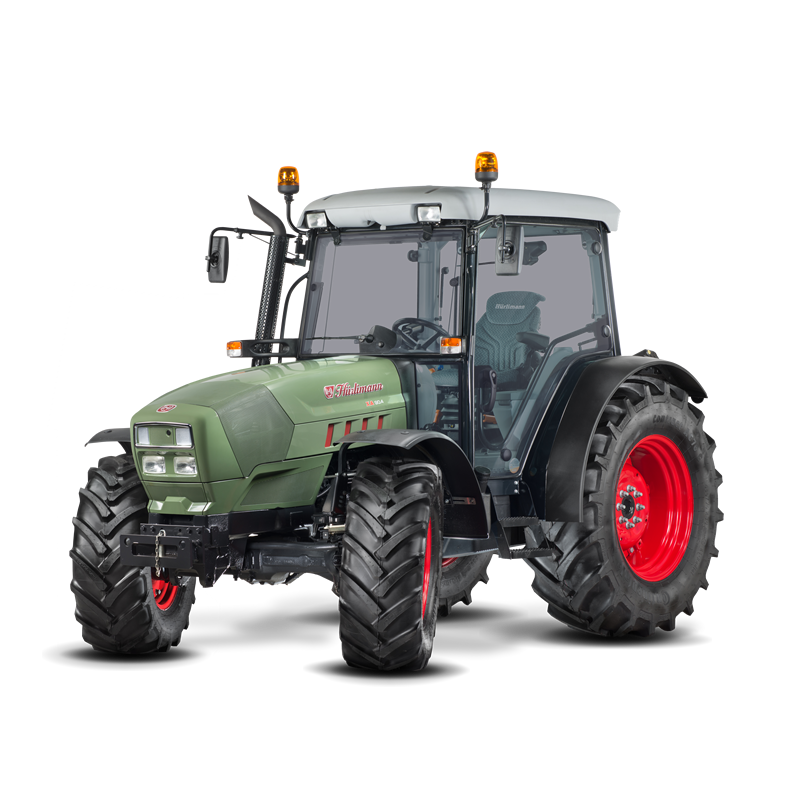 XA T4i tractors are powered by latest generation 3 cylinder (2887cc) or 4 cylinder (3849 cc) turbo-intercooled FARMotion engines with common rail injection. These engines satisfy the need for performance together with low operating costs. Impressive fuel economy and performance have been made possible by the new geometry of the individual cylinder heads and combustion chambers, which help improve the diesel combustion process and let XAT4i tractors take full advantage of the engine while significantly reducing fuel consumption. The EGR exhaust gas recirculation system and DOC catalytic converter drastically lower nitrogen oxide emissions (NOx) and particulate, which are among the most harmful of all emissions produced by combustion. XAT4i LS and GS tractors deliver optimum power and torque at all times, with an electronic engine governor allowing the driver to set and store the most suitable engine speed for the job in hand, and recall it again whenever needed. XA T4i tractors are nimble and fun to drive but also extremely responsive, with the choice of a transmission with 30 FWD + 15 REV speeds, with underdrive and supercreeper gear, or an even more advanced 5 speed gearbox with three powershift ranges, for a total of 45 forward and 45 reverse speeds. The POWERSHIFT gearbox lets the drive perform extremely quick gear changes without the clutch pedal, by simply pressing the button on the gear lever. All transmissions are offered as the LS version, with a mechanical reverse shuttle, or as the GS version, with hydraulic reverse shuttle and Stop&Go function. GS versions offer a top speed of 40 km/h achieved at engine economy speed, making full use of the performance of the engine to not only reduce consumption but also increase comfort, by minimising noise and vibration. The dual traction system and 100% lockable differential locks are engaged and disengaged electrohydraulically at the simple press of a button. The 54 l/min open centre hydraulic system (on LS and GS versions) is a pleasant surprise, ensuring the delivery and immediate response necessary for working with implements with large working surface areas. A generously sized rear lift - mechanically controlled as standard but also available with optional electronic control - offers lifting capacity to match the impressive power of the tractor: 3000 Kg (or up to 3600 Kg with supplementary hydraulic rams). Depending on the version chosen, 4 or 6 way auxiliary distributors are available for all applications. These distributors are convertible to single or double acting operation when needed for total compatibility with different implements. The two-speed 540/1000 rpm PTO (or optional 540/540ECO/1000 rpm PTO) has a multiplate wet clutch. The Auto PTO function (available with electronic lift only) lets the driver programme PTO engagement and disengagement depending on whether the rear lift is raised or lowered. For applications using both front and rear implements, the tractor is also available with an electrohydraulically controlled 1000 rpm front PTO driven directly by the engine via a multiplate wet clutch for progressive engagement. The more comfortable the driver seat, the better you work. The unique cab of the XA T4i is soundproofed and pressurised and offers a comfortable, ergonomic working environment for the driver. The air conditioner is situated in the rear of the headliner, and delivers air into the cab through 4 directional vents plus an additional 4 fixed vents in the upper headliner. To let the driver focus on the job in hand with minimal distraction, all controls are within easy reach and logically organised on the right hand side. A simple push of an electrohydraulic switch effortlessly engages the PTO, dual traction and differential locks. Similarly, the buttons on the gearshift lever operate the POWERSHIFT and the electrohydraulically controlled clutch. The high visibility roof, available for applications with front implements, offers an unobstructed view of the implement mounted at the ends of the loader arms.